A quick post today, as I am finishing off my last minute packing. 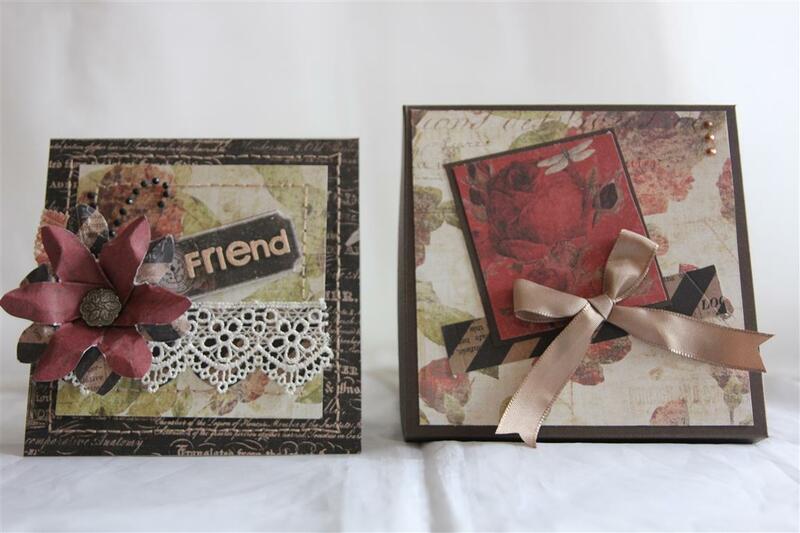 This is a card and box, card on the left, Prima stationers desk, same as yesterday – hand sewn around the borders, and a piece of lace across the inner layer.The flower is made with the smallest size on the We are Memory Keepers flower board, and the brad is a stampin up vintage brad. I will be away from all my technological appliances for the rest of this week, so no posts until I get back on Sunday. Til then stay well,and we will catch up then! 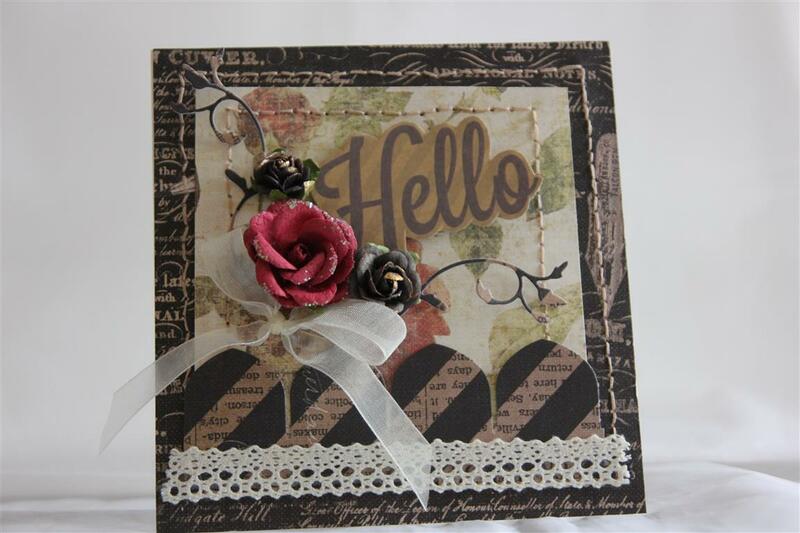 A vintage style card today made with Prima Stationers desk paper and matching prima flowers. I handstitched around my papers,and added some lace, organza ribbon and a memory box flourish.The striped piece on the card is cut out using my memory keepers flower maker – I stopped at the first stage,instead of going on and folding it all up to make a flower – I liked the punched effect, just another way to use the flower board if you have one! Til tomorrow….